This past weekend, James and I attended the Kentucky State Fair. 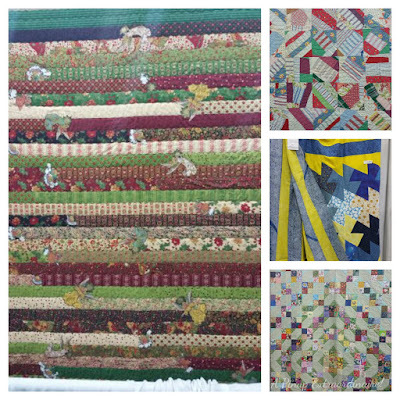 We had a good time despite the very large crowds and were able to view my grandmother's quilts which were entered in the state fair. We also (shared) enjoyed a doughnut burger! Ha ha. I've been looking forward to that almost all summer! Well worth the wait. 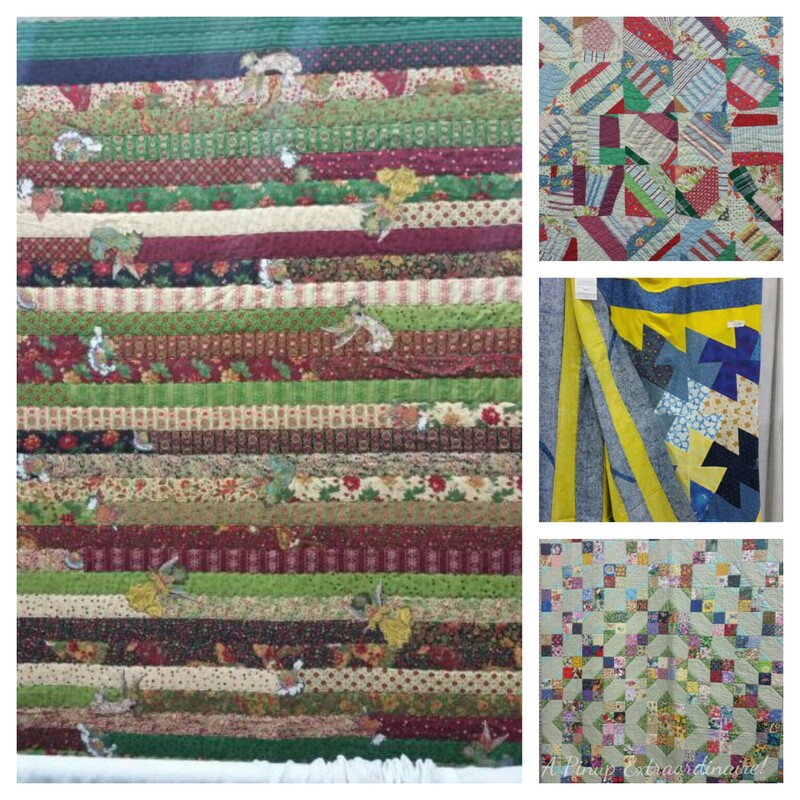 My grandmother's quilts: the angel quilt won a second premium ribbon! On the trip back we had packed up some boxes from my parents and stopped by my grandparents to pick up a rocking chair. As we approached the house we spotted a danish modern dresser - on the side of the road two houses down from my grandparents. Surprisingly, after we picked up the rocking chair the dresser was still sitting on the side of the road so we loaded it into the truck. 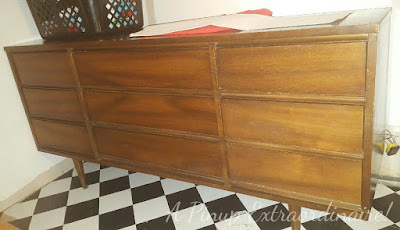 The dresser is in fair to good condition. It's missing its mirror and the top surface has been badly scratched - we'll have to resurface it later. Thankfully, all the drawers were intact as well as the awesome pointy legs! 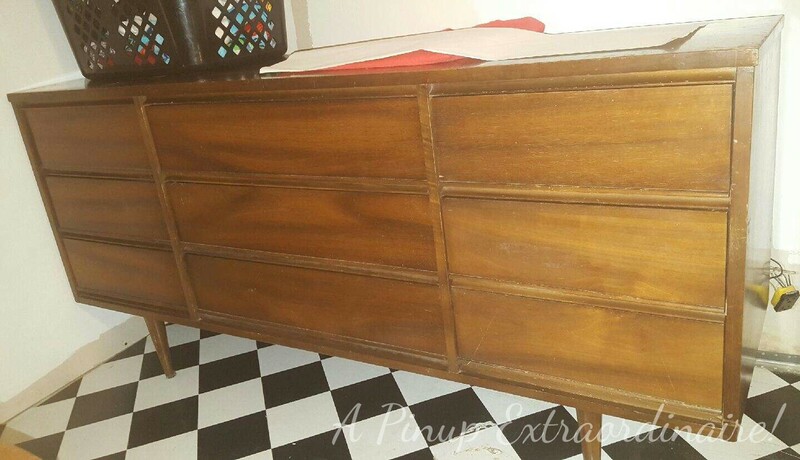 The drawers are stamped with "Dixie" on the inside. It's the free find of the year! After we got back to Indiana we had to find a home for the dresser in our room. We've been needing to clear out some of the basement clutter anyways. Our room is really starting to come together! I'm so glad we found that dresser because stylish storage space is awesome! We even put up the door in the room this week but I'll post pictures of that when it's finished. Our little temporary home is coming together! What's your favorite side of the road/free find? Post below, please! P.S. 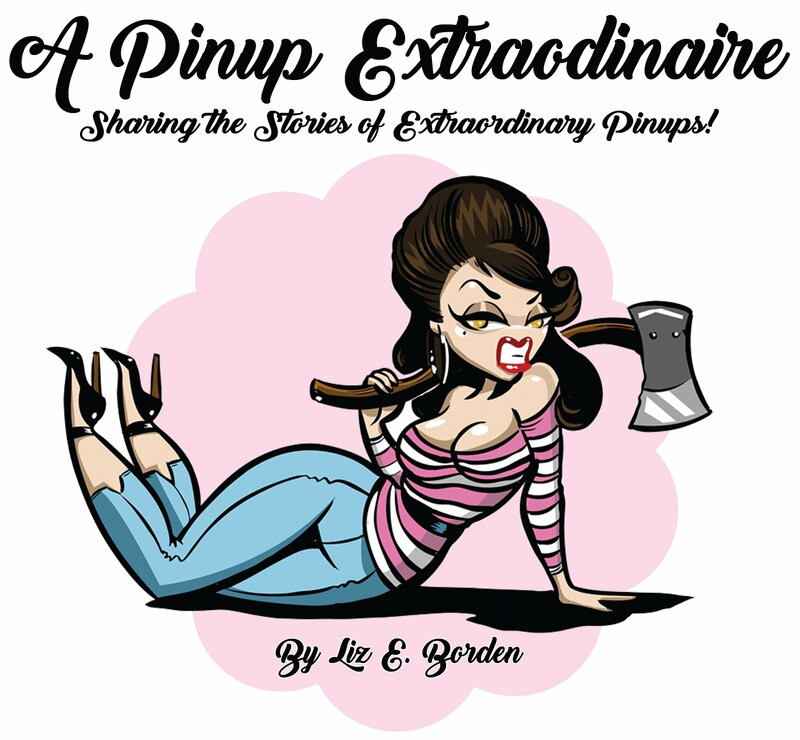 Don't forget this Friday starts the Lucky Penny Photo Shoot Giveaway! I already have the widget on the sidebar. Be sure to check it out Friday!